Good News For all PSU Bank Employees, The long pending demand of wage revision for bank employee settlement is done. The Government has agreed to give 15% hike in Basic Wage for all PSU Bankers. 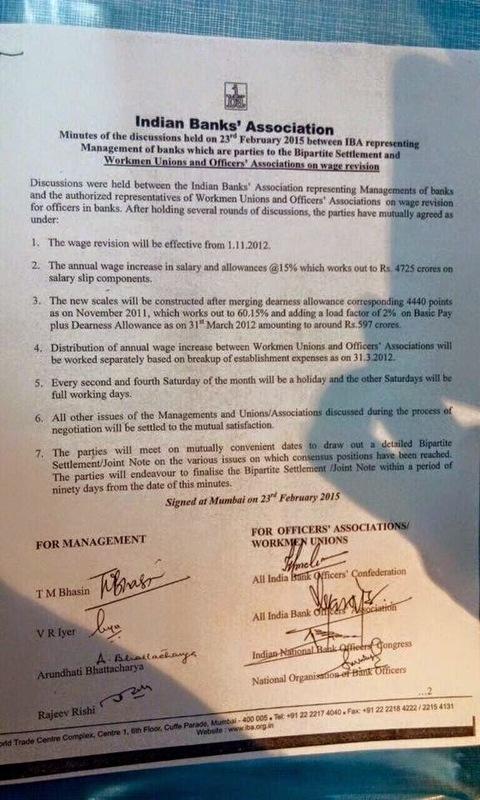 The official notification is out now,indian bank's association (IBA) has announced that government has agreed to their wage revision demand, on 23rd February, 2014. 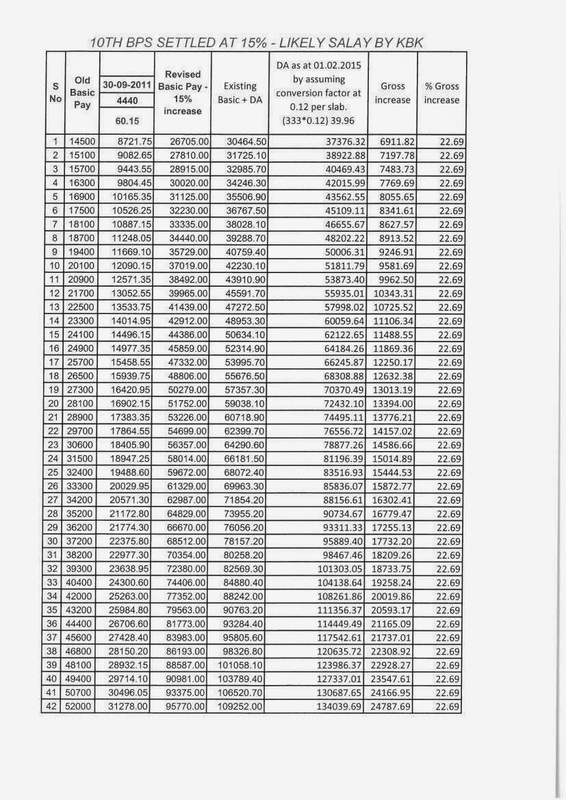 Below is revised salary of each PSU Bankers after 15% hike, do check out. Earlier, Bank unions were threatened government to go 4 days of nation-wide strike for demand of 19% wage hike. Also, bank union met Finance minister Arun Jaitley and after meaning, finance minister requested bank unions to call off strike as talks for wage revision is on going. After discussion, government agreed to give 15% wage hike (applicable from November 2012). National Organisation of Bank Workers (NOBW) Vice President Ashwini Rana said: "We are not happy as our expectation was that bank staff would get what was given to them last time -- 17.5 per cent increase in wages". Also, Now PSU Bank employees will get 2 extra holiday (every month 2nd and 4th Saturday will be holiday), AIBEA General Secretary C H Venkatachalam confirmed it. In the starting of this 2015 year, the bank union gone on one day strike (on January 7th) demanding for wage hike for 12.5%. Total 27 Public sector banks of india will get benefits from this wage hike, with total 8 lakh employee. These 27 PSU banks have 50,000 branches all across india.